Auto Depth Control For Underwater Remotely Operated Vehicles Using A Flexible Ballast Tank System, Journal Of Telecommunication, Electronic And Computer Engineering, pp 57-64,ISSN: 2180 – 1843, 2015.
Review On Auto-Depth Control System For An Unmanned Underwater Remotely Operated Vehicle (ROV) Using Intelligent Controller, Journal Of Telecommunication, Electronic And Computer Engineering, pp 47- 55, ISSN: 2180 – 1843, 2015. Comparison of Depth Control from Surface and Bottom Set Point of an Unmanned Underwater Remotely Operated Vehicle using PID Controller,JurnalTeknologi, Vol 74 Issues 9, pp 105- 111, 2015. Depth Control of an Underwater Remotely Operated Vehicle using Neural Network Predictive Control, JurnalTeknologi, Vol 74 Issues 9, pp 85- 93, 2015. Simulating Underwater Depth Environment Condition Using Lighting System Design, JurnalTeknologi, Vol 74 Issues 9, pp 95-103, 2015. Study On The Effect Of Shifting 'Zero' In Output Membership Function On Fuzzy Logic Controller Of The ROV Using Micro-Box Interfacing, JurnalTeknologi, Vol 74 Issues 9, pp 119-128, 2015. Dynamic Mathematical Design and Modelling of Autonomous Control of All-Terrain Vehicle (ATV) using System identification technique based on Pitch and yaw Stability, International Review of Automatic Control, 8 (2), pp 140-148. ISSN 1974-6059. (2015). Model Identification of an Underwater remotely Operated Vehicle using System Identification Approach based on NNPC, International Review of Automatic Control, 8 (2), pp 149-154. ISSN 1974-6059. (2015). Analysis of Movement for Unmanned Underwater Vehicle Using a Low Cost Integrated Sensor, AIP Conference Proceedings, 070052-1. (2015). Observer Based Output Feedback Tuning For Underwater Remotely Operated Vehicle Based On Linear Quadratic Performance,AIP Conference Proceedings, 070051-1. (2015). System Identification Modelling Based on Modification of All-Terrain Vehicle Using Wireless Control System, Journal of Mechanical Engineering and Sciences, 9 (1), pp 1640-1654. (2015). System Identification of a prototype Small Scale ROV for Depth Control, Proceedings of the 10th Asian Control Conference, pp 1 – 6, 2015. Adaptive Simplified Fuzzy Logic Controller for Depth Control of Underwater Remotely Operated Vehicle, Indian Journal of Geo-Marine Science. (2015) IF 0.294. Control of Under Actuated - VTOL System Using Glove Controller, ARPN Journal of Engineering and Applied Sciences, Vol.10, No 15, (2015). Composite Nonlinear Feedback Control with Multi-objective Particle Swarm Optimization for Active Front Steering System, JurnalTeknologi, Vol. 72, No. 2, pp 13-20. (2015). Development of PID Controller for Controlling Desired Level of Coupled Tank System. International Journal of Innovative Technology and Exploring Engineering, 3 (9). pp. 32-36. ISSN 2278-3075. (2014). Development and Modelling of Unmanned Underwater Glider using the System Identification Method. Journal of Engineering and Technology, 4 (2). pp. 1-22. ISSN 2180-3811. (2013). Tuning Process of Single Input Fuzzy Logic Controller Based on Linear Control Surface Approximation Method for Depth Control of Underwater Remotely Operated Vehicle. Journal of Engineering and Applied Sciences, 8 (6). pp. 208-214. ISSN 1816-949X. (2013). Analysis of an Improved Single Input Fuzzy Logic Controller Designed For Depth Control Using Microbox 2000/2000c Interfacing. International Review of Automatic Control, 6 (6). pp. 728-733. ISSN 1974-6059. (2013). Robust Control of Adaptive Single Input Fuzzy Logic Controller for Unmanned Underwater Vehicle. Journal of Theoretical and Applied Information Technology, 57 (3). pp. 372-379. ISSN 1992-8645. (2013). Design A Magnetic Contactless Thruster of Unmanned Underwater Vehicle. International Review of Mechanical Engineering (I.RE.M.E. ), 7 (7). pp. 1413-1420. ISSN 1970-8734. (2013). A Comparison Study between Two Algorithms Particle Swarm Optimization for Depth Control of Underwater Remotely Operated Vehicle. International Review on Modelling & Simulations, 6 (5). pp. 1-10. ISSN 1974-9821. (2013). Development of Wireless Data Transfer System on Unmanned Underwater Vehicles Application. International Journal of Engineering Research & Technology, 2 (10). pp. 1322-1330. ISSN 2278-0181. (2013). Development And Modeling Of Unmanned Underwater Remotely Operated Vehicle Using System Identification For Depth Control. Journal of Theoretical and Applied Information Technology, Vol 56 (1). pp. 136-145. ISSN 1992-8645. (2013). Development and Modeling of Water Tank System using System Identification Method. 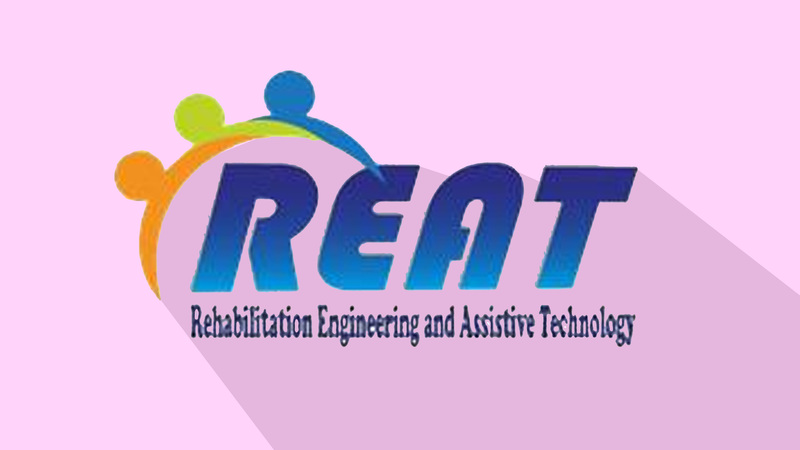 International Journal of Engineering and Advanced Technology (IJEAT). pp. 278-283. ISSN 2249 – 8958. (2013). Analysis Movement of Unmanned Underwater Vehicle using the Inertial Measurement Unit. International Journal of Emerging Science and Engineering (IJESE), 1 (10). pp. 47-53. ISSN 2319–6378. (2013). Obstacle Avoidance System for Unmanned Underwater Vehicle using Fin System. International Journal of Science and Modern Engineering (IJISME), 1 (9). pp. 24-30. ISSN 2319-6386. (2013). Development of Subsea Altimeter Sensor System (SASS) Using Portable Sonar Sensor Fish Finder Alarm for Unmanned Underwater Vehicles. International Journal on Recent Trends in Engineering & Technology, 8 (2). pp. 110-115. ISSN 2158-5563. (2013). Development of Hexapod Robot with Manoeuvrable Wheel. International Journal of Advanced Science and Technology, 49. pp. 119-136. ISSN 2005-4238. (2012). Dynamic Mathematical Modeling and Simulation Study of Small Scale Autonomous Hovercraft. International Journal of Advanced Science and Technology, 46. pp. 95-114. ISSN 2005-4238. (2012). Investigation and Evaluation of Low cost Depth Sensor System Using Pressure Sensor for Unmanned Underwater Vehicle. Majlesi Journal of Electrical Engineering, Vol. 6, (No. 2). (2012). Problem Identification for Underwater Remotely Operated Vehicle (ROV): A Case Study. Procedia Engineering, 41 (2012). pp. 554-560. ISSN 1877-7058. (2012). Uncertainty Modelling and High Performance Robust Controller for Active Front Steering Control. Proceedings of the 10th Asian Control Conference, pp 3093-3098, (2015). A reduce chattering problem using composite nonlinear feedback and proportional integral sliding mode control, Proceedings of the 10th Asian Control Conference, pp 3093-3098, (2015). Depth control of an unmanned underwater remotely operated vehicle using neural network predictive control. In: The 5th International Conference on Underwater System Technology: Theory and Application (USYS'14), 3-4 December 2014, Bayview Hotel Melaka. (2014). Comparison of Depth Control from Surface and Bottom Set point of an Unmanned Underwater Remotely Operated Vehicle using PID Controller. In: The 5th International Conference on Underwater System Technology: Theory and Application (USYS'14), 3-4 December 2014, Bayview Hotel Melaka. (2014). Development of Lighting System for Imitating Multi Depth Underwater Light Condition. In: The 5th International Conference on Underwater System Technology: Theory and Application (USYS'14), 3-4 December 2014, Bayview Hotel Melaka. (2014). Study on the Effect of Shifting ‘Zero’ in Output Membership Function on Fuzzy Logic Controller of the ROV using Micro-box Interfacing. In: The 5th International Conference on Underwater System Technology: Theory and Application (USYS'14), 3-4 December 2014, Bayview Hotel Melaka. (2014). Synchronization of Compass Module with Pressure and Temperature Sensor System for Autonomous Underwater Vehicle (AUV). In: The 5th International Conference on Underwater System Technology: Theory and Applications 2014, 3 - 4 December 2014, Bayview Hotel Melaka. (2014). Design and Development of Auto Depth Control of Remotely Operated Vehicle (ROV) using Thruster System. In: Malaysian Technical Universities International Conference on Engineering & Technology (MUCET), 3-4 December 2013, Kuantan, Pahang. (2013). Tuning Factor the Single Input Fuzzy Logic Controller to Improve the Performances of Depth Control for Underwater Remotely Operated Vehicle. In: 2013 European Modelling Symposium, 20-22/11/2013, Manchester Conference Centre. (2013). Neural Network Predictive Control (NNPC) of a Deep Submergence Rescue Vehicle (DSRV). In: 4th International Conference on Underwater System Technology: Theory and Application 2012 (USYS'12), 4-6 December 2012, Shah Alam. (2012). Design and Development of Industrial Systems for Guidance and Control of Marine Surface Vessels. In: 4th International Conference on Underwater System Technology: Theory and Applications 2012, 4-6 Dis 2012, Kuala Lumpur. (2012). Design and System Parameter’s Validation of the Unicycle Mobile Robot. In: First International Conference on Control, Automation and Information Sciences (ICCAIS 2012), November 26-29, 2012, Grand Hotel Saigon, ho chi minh Vietnam. (2012). Study of the Effect in the Output Membership Function When Tuning a Fuzzy Logic Controller. In: IEEE International Conference on Control System, Computing and Engineering, 23-25 November 2012, Penang. (2012). Development of Fuzzy Logic Water Bath Temperature Controller using MATLAB. In: 2012 IEEE International Conference on Control System, Computing and Engineering, 23- 25 Nov 2012, Penang. (2012). Design and Development of a Water Bath Control System: A Virtual Laboratory Environment. In: IEEE SCOReD 2011, 19-20 December 2011, Cyberjaya, Selangor. (2011). Underwater Technology Research Group (UTeRG) Glider for Monitoring and Surveillances Applications. In: Malaysian Technical Universities International Conference on Engineering & Technology (MUiCET 2011), 13-15 November 2011, UTHM, BatuPahat, Johor. (2011). Development of Image Recognition for Underwater Vehicle Applications. In: International Seminar on the Application of Science & Mathematics, 1-3 Nov 2011, Kuala Lumpur. (2011). Design and Development Of Multi-Input Sensor Algorithm For Autonomous Underwater Vehicle (Auv) Applications. In: World Engineering Congress 2010, 02 - 05 August 2010, Kuching, Sarawak. (2010). Design and Development an Underwater Glider using PIC for Monitoring Application. In: International Conference on Engineering and ICT, 18-20 February 2010, Holiday Inn, Melaka, Malaysia. (2010). Design and Development an Underwater Glider Using Remote Control. In: International Conference on Engineering and ICT, 18-20 February 2010, Holiday Inn, Melaka, Malaysia. (2010). Development of Hydrophone Sensor System for Autonomous Underwater Vehicle Application. In: International Conference on Engineering and ICT, 18-20 February 2010, Holiday Inn, Melaka, Malaysia. (2010). Development of Sonar Sensor System for Autonomous Underwater Vehicles Application. In: International Conference on Engineering and ICT, 18-20 February 2010, Holiday Inn, Melaka, Malaysia. (2010). Application and evaluation of high power Zigbee based wireless sensor network in water irrigation control monitoring system. In: 2009 IEEE Symposium on Industrial Electronics and Applications, ISIEA 2009, 4-6 Oct 2009, Kuala Lumpur, Malaysia. (2009). Vision System for Autonomous Underwater Vehicle Using Wireless Camera for Monitoring and Surveillances Application. In: Asia Pacific Conference on Defence& Security Technology, 6-7 October 2009, Kuala Lumpur. (2009). Design and Development of an Autonomous Underwater Vehicle (AUV-FKEUTeM). In: Malaysian Technical Universities Conference on Engineering and Technology, 20-22/6/2009, MS Garden, Kuantan, Pahang. (2009).